Manchester Airport has an excellent route network, but even its biggest supporters have to admit that the passenger experience is dire at best. Even the lounges are a mess. Things are changing. A new pier is under construction, which will include a swanky new Virgin Atlantic lounge amongst other facilities, but this will take time to complete. In the meantime, Manchester Airport has had another idea. It is building a totally separate VIP terminal to open this Summer which anyone can use. 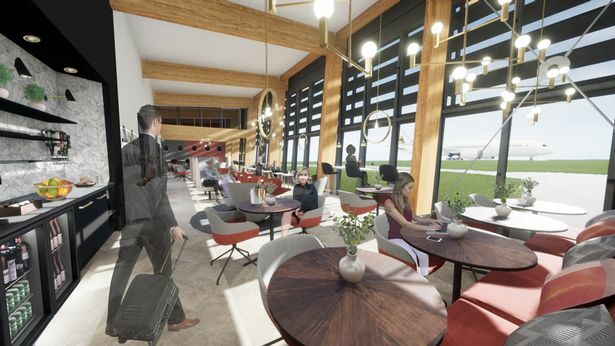 Passengers and their party will be called forward from the lounge when their car is ready and taken through security to be driven to their aircraft. They will be the only ones passing through security at that time. For clarity, the terminal will be open to anyone irrespective of their airline or class of travel. At any airport this would be a welcomed innovation. At Manchester it will be like Christmas for regular premium passengers who are fed up with the existing facilities. I get a feeling that some of the long haul airlines may even want to pay for this as part of their regular offering. 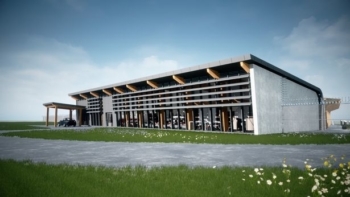 The even better news is that Manchester Airports Group is already looking at building similar facilities at East Midlands and London Stansted, both of which it also owns. Obviously this is something which Head for Points will need to try out, so look out for a report later in the year. What an excellent idea… love it, please make it happen. I travel frequently from MAN to all kinds of destinations, and often find myself travelling early or late. I also change plans at short notice and have to chain 2 trips together (making a long layover at MAN. Often I find the existing lounges are closed, or (with exception of BA lounge) full of people being loud and obnoxious. There are not many other options to relax/catnap or find a quiet place to do calls or work on projects. This option would reduce my stress so much. From the outside it looks like a golf driving range. MY personal opinion is that no one under the age of 12 should be Allowed in the new area let the people without small kids use it. Yes I do have kids before anyone moans. I say this because why should people put with kids that the parents can’t keep in control which is a lot of parents these days but not all I have seen some very well behaved kids also. That’s my 2p worth lol. 1, will there be a duty free area? 2, will there be a smoking area? About security at man airport we have not ever yet had a bad experience there. I’m planning to take my kids into the First Class lounge at London City’s Private Jet Terminal in a couple of weeks!